If you love vape pens, then for sure your going to love the new Sigelei VCigo A7 Starter Kit with O9 Sub-Ohm tank. Featuring a built-in 3000mAh battery and a smart mechanical designed output this pen not only looks the part but also performs as well as any other on the market. Great flavorful clouds thanks to the SM Coils within the tank with the quality of build that makes you just want to pick it up and play with. Sigelei have put together a new vape pen that is starting to turn heads. The VCigo A7 and O9 Sub-Ohm Tank make up Sigelei’s newest compact vape pen device. But does this combination work, and is it one of the best vape pens on the market, there’s only one way to find out; let’s review it! The initial release of the Sigelei VCigo A7 has 4 color choices which include black, stainless steel, rainbow and brass. Although most vape pens do lookalike, the VCigo A7 has something about it that just makes it not only look good but oozes that sense of quality about it when in your hand. Yes, most vape pen users are those who started on cigalike e cigs, but this vape pen has been designed for all, beginners as well as expereinced vapers. Measuring in at a total length of 124mm x 24.5mm diameter makes this pen pretty small, especially when you consider it has a 3000mAh built-in battery, but the tank is small, just 2ml, we guess to comply with the TPD in Europe. That’s not necessarily a bad thing as it keeps the pen nice and small and compact. The fire button is nicely placed, making it easy to find with your finger without looking and the operation of this vape pen could not be easier! Now most vape pens are not variable wattage or temperature control and this is the same as the Sigelei VCigo A7, what it does have though is something called Smart Mechanical Style Output, which basically means that it works like a traditional but smart mechanical mod lowing the voltage as the battery drains, from 4.2V to 3.3V. The VCigo A7 also has a battery indicator, it’s only a small led just below the USB port which will flash green when the battery is between 100-60%, amber from 59-30% and a permanent red light when the battery is between 29-10%. Anything below 10% will cause the led to flash indicating that you should charge your pen. Within the VCigo A7 Starter Kit, Sigelei has decided to pair it with their newest tank on the market, the O9 Sub-Ohm Tank. A nice new top fill, designed tank that utilizes the same coils, the SM series coils as some of their other tanks to deliver the best flavor and clouds possible. 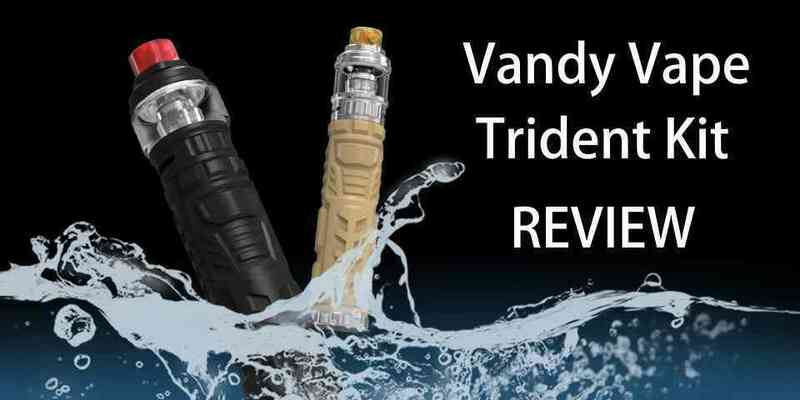 It’s being reviewed by many experienced vapers as one of the best sub-ohm tanks available. Color matched with the battery, this tank looks awesome. With a huge adjustable airflow at the base makes the draw easy to control. Granted it only holds 2ml of juice, but at the end of the day, the purpose is to be small and discrete. The VCigo A7 Starter Kit comes with some 2 of the SM2 M2 0.2-ohm coils, which are best suited with the battery. Well, we never expect that much from vape pens, but recently a number of manufacturers have released some that are comparable with the best box mods. Let’s be honest here, the Sigelei VCigo A7 Starter Kit is right up there with the best. It may be that the sheer aesthetics may influence us slightly as it looks and feels great, but coupled with the O9 Sub-Ohm Tank and the SM series coils is a real winner. The flavor produced by this vape pen is nothing but enjoyable, bringing even the dampest of flavored juice to life. Huge clouds are aplenty and the ease of use is just ridiculous, charge, fill and vape, that simple! The Sigelei VCigo A7 with the O9 Sub-Ohm Tank is a winning design in the vape pen market, boosting huge flavourful rich clouds and a device that’s so easy to use will be very popular in the market. If you’re after a pen to carry around with you, with the requirement to perform as well as any of the best electronic cigarettes in the market, then the Sigelei VCigo A7 is right up your street. With the only downside being the small 2ml capacity tank, this pen gets a huge thumbs up from us.